Is it Necessary to Buy Matching Wedding Bands For Couples? The tradition of exchanging wedding bands on the wedding date has been dated back centuries. In most Western Cultures, brides and grooms prefer to place their wedding bands on the ring finger of the left hand. They strongly believe that the vein of this finger is directly connected to the heart. However, medical science has already corrected this belief. Besides, there are many other convenient ways that the brides and grooms often prefer to put on their wedding ring. Since endless jewelers with their endless collection are evolving daily, choosing a wedding band or engagement ring sometimes become too cumbersome. Even there are many such buyers who find this beating around the bush, especially, when you are talking about Chicago and its Diamond district. Despite the fact, if they succeed to find the best one out from the collection or customize the ring for your loved one, they end up again with a confusion – whether to buy matching wedding bands for couples or not. This question barely tailors their mind and it becomes hard for them to come to a conclusion. Are you encountering the same issue? Well, it’s quite natural. Here, today surpassing all your problem we have discovered some relevant solutions. The tendency of building matching pairs was quite frequent in the past. However, there is no hard-and-fast rule today to create something analogous. It completely reckons on the couple’s interest and choices. Here we have set down two ultimate cases, beyond which nothing can be possible. 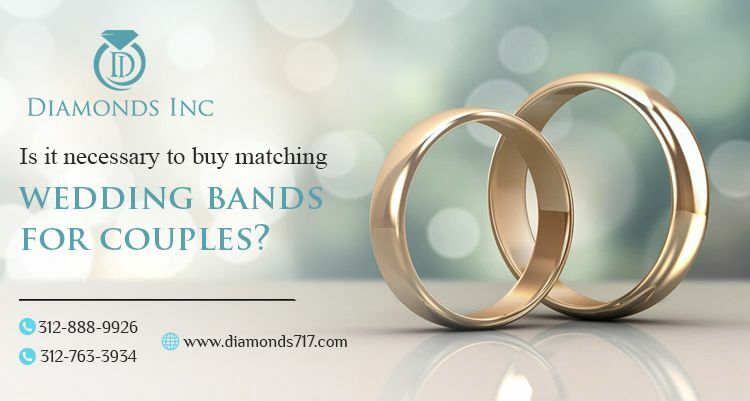 While conducting our survey, we discovered there are some couples who feel inclined towards the idea of having matching bands. They served multiple reasons for their preferences. 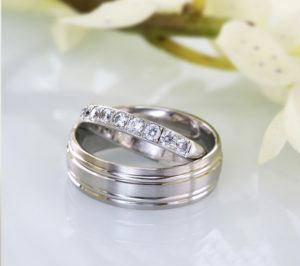 According to them, matching wedding bands pave a way to express their togetherness. They wanna showcase themselves that they are the two elements of the same mold. No doubt, it means a lot and maybe such an explanation provoke you to buy such matching pairs. Having an analogous pair not just means that both the bride and groom will wear the same style, same color, same design, and pattern. For them, this ensures their compatibility and strengthen their bond. Is that what you are looking for? Is that what you want to feel for your significant other? Is that what your opinion addresses? Take your time, ask yourself and even your partner. Leaving all these beliefs behind, there are many couples who have sorted out some practical reasons behind this. For some couples, picking out wedding rings identical for each other is not only a convenient search but also seems to be an affordable one. Instead of spending more time scrolling down the diamond rings online or exploring the store collection and finding out the best ring, choosing a similar pair is relatively a comfortable job. Further, if both of you have similar tastes, then such an approach can certainly be amazing. 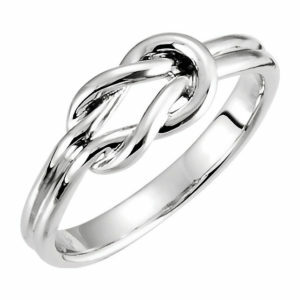 Secondly, in contrast to the previous option, there are many couples who prefer to choose a distinct ring style. The reasons that they put on are as follows. They stated, having two non-matching wedding bands doesn’t mean that you can’t express your love or find a connection. It defines that you both have a unique way to express your talent, love, and commitment. Every individual is unique in themselves and so is his taste. For instance, you may prefer to choose a vintage style, while your partner may be quite trendy and love to flow with the flow. Or maybe you like a bold jewelry while your partner may try to lean on aesthetics, and so on. In such cases, instead of installing your opinion on your partner’s brain, it is always better to choose according to your preferences. After all, a feminine style always differs from a masculine fashion. As we have said earlier, there is no immutable rule that you have to wear similar wedding rings. You can make your purchase based on your likes. 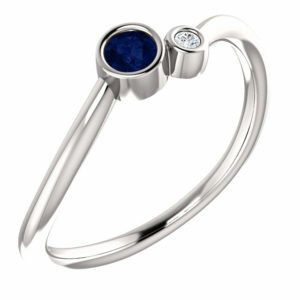 Further, if you still desire to have something similar, you can easily opt for some matching aspects of the rings. For example – the metal, the settings that are incorporated, or maybe the design. This friendly compromise can be the perfect solution for those who like to have unique sets. So, what are you desiring for? Matched or un-matched? Whatever may be you are craving for, before heading to the jewelry store you need to consider several things. This is the prior question that you need to ask yourself beforehand. After all, it is easy to acquire a ready-made asset. But to shop for a custom-made diamond ring, you need to make your decision clear, keeping enormous time in your hand. Gold, platinum, white gold, tungsten, stainless steel, or titanium – uncountable metals are hailing in the market to tailor your needs. More specifically, with diamonds platinum, white gold or gold are preferred the most. While other contemporary metals are chosen to serve other needs. For a traditional timeless look, yellow, white, rose gold is the preferred shades. 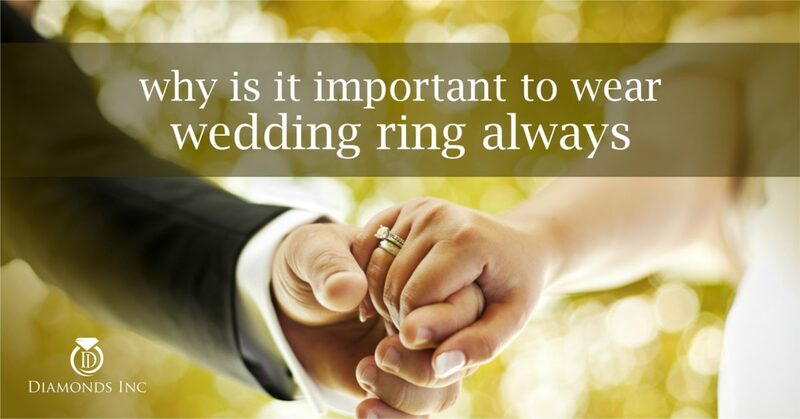 Well, there is no hard-and-fast rule that you can’t choose black or gray hues for your wedding ring. Need a polished finish or a matte finish? Polished finish is strongly reflective, but if you are looking for a softer appearance then we guess matte look will suit your demand. Multiple designs for multiple occasions are evolving daily. If you sort them out in categories, there are three basic classifications. Contemporary, traditional or something in-between. Decide your style before you heading to a store. In the end, it is only you who can decide what wedding band can make you happy. Decide your budget and look for the wedding ring within that range. Your jewelry is your asset. Don’t you want to keep your asset perfect? However, it’s easy to find out the best jewelry piece for your wardrobe, but it’s not everyone’s cup of tea to maintain the jewelry and keep it intact forever. Every jewelry, regardless of its material type and gemstone, requires a proper maintenance in order to last for generations. After all, a fine jewelry is also prone to wear and tear. Learning to take care of your ornaments and that also in a proper manner will keep them in the best shape and form, as much as it is possible. 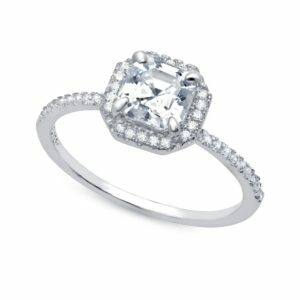 Have you purchased your engagement ring or any other jewelry pieces from Chicago’s Diamond District? Then, of course, you are quite aware of the multiple jewelry repair services in Chicago. Yeah, you may easily avail these and get your ornaments fixed up. But we guess you should also have some responsibility for your assets. Isn’t it? So, interested? 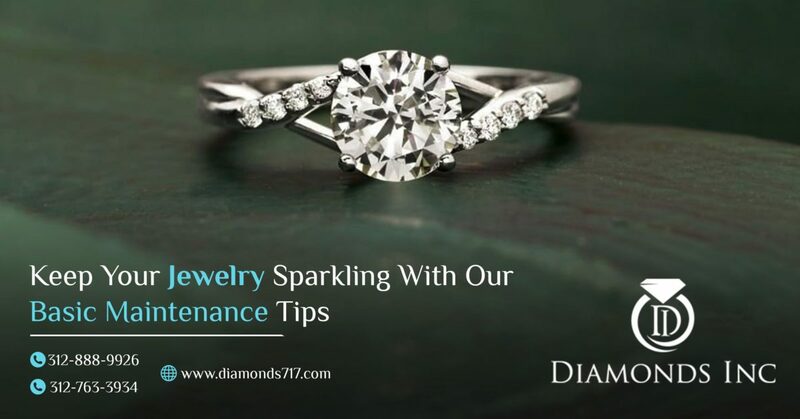 Check out the following points and get to know about some effective maintenance tips to make sure your jewelry quality last for years. Is it better to fight with the tarnished pieces or to take precautions from beforehand? Obviously, taking precautions will help you to minimize the pains that you are likely to encounter, later on. Additionally, this will save your time and money in the distant future. Make sure that you clean your ornament always with a soft cloth and store it in a dry place. Each piece should be kept separated to prevent them from scratching. Either you keep them intact in a jewelry box or wrap them individually in a soft cloth or tissue. Not every jewelry material uses the same maintenance process. It’s different for the different material type. Confused? Hell, yeah. You don’t need to. Here we have stagged out some simple jewelry care instructions for your regular used jewelry. Gemstones, especially the diamonds are said to be the hardest naturally occurring stones. But they can be damaged due to indiscreet handling and negligence. For example, a habit of removing rings by pulling on the stone may result in a loss of the gem. Therefore, they should be worn with extra care. Additionally, rings are too prone to collect dust and soap, especially behind the gem, which causes reduction of brightness and fire. To get back the transparency and luster, just soak them in warm soapy water and use a toothbrush to wipe the dirt behind the stone. Use these diamond jewelry care tips, instead of getting messed up. Jewelry repair in the Chicago Loop area can convert your old one to new, no doubt. But the initial step of precaution should be taken by you. Silver is very soft and delicate, just like a newborn baby and so you have to take care of it likewise. 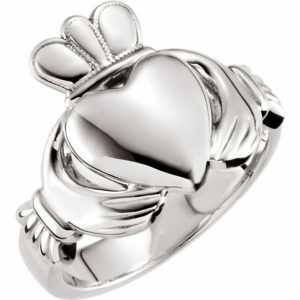 Regular use of jewelry based on sterling silver may minimize its luster with time. But if you clean your jewelry piece regularly after use, with a soft cotton cloth or flannel, then you can easily get rid of all your future issues. 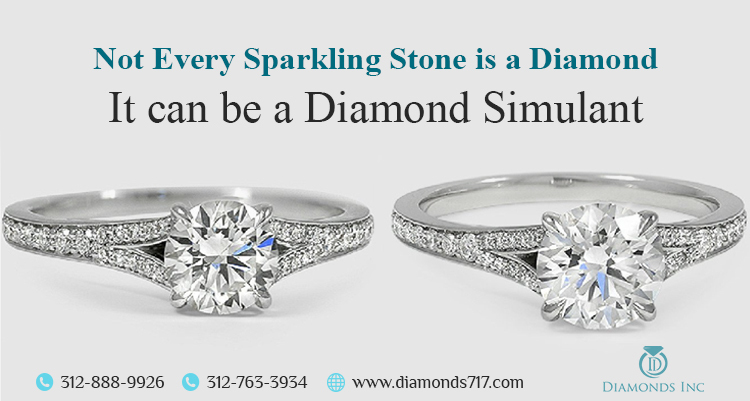 If you are in love with the most pocket-friendly diamond simulant, Cubic Zirconia, then you must also know how to take care of it. Wiping the jewelry with a cotton cloth is obviously a better choice. 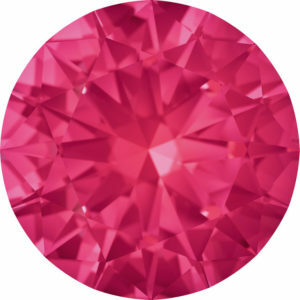 But if you are looking for the best jewelry care tips for Cubic Zirconia, then we guess using a special jewelry polishing cloth, Sunshine Polishing Cloth will be perfect. Make sure you don’t rub your pieces in a circular motion, as these may encounter a number of scratches. For better results, you may take a warm water and mild soap, and use a cosmetic applicator to reach all the crevices. There are two other cost-effective methods of using CZ jewelry pieces. You can either steam your jewelry. This is the most effective method to loosen the dirt. Or you may also use an ultrasonic cleaner to clean your pieces in a brilliant way. Compared to other gemstones, pearls are very soft and look for extra attention. So while storing them in your wardrobe, you should use a fabric-lined box or a fabric pouch to keep your pearls safe, instead of storing them in the same box. Further, these organic jewels always require moisture to breathe and shine like always. But the acid produced from the skin is easily absorbed by the pearls, thus causing harm to the pearls and its luster. So to prevent these, either wipe your pearls with a wet soft cotton cloth after every wearing or add a drop of olive oil and clean the dirt with a soft dry cloth to maintain its quality. Make sure you are avoiding toothbrushes, ultrasonic cleaners or any other abrasive materials to clean them. Gold, though doesn’t tarnish, they become dull and boring when it comes in contact with your skin oil, body lotion, makeup, cosmetics and other substances. However, there are lots of products that can be used to clean gold ornaments. Among those gold jewelry care tips, cleaning with detergent and a soft cloth is the easiest one. For better cleaning, you may use a toothbrush to scrub the jewelry piece. After all, they will not be worn out if you scrub them thoroughly. Stainless Steel won’t rust, rather they are very durable and can withstand wear and tear, unlike silver jewelries. But these jewelries based on stainless steel can be damaged over time if used regularly. The more you use, the more will be its rate of getting worn out. To avoid this, make sure your jewelry doesn’t come in contact with chemicals. However, it’s quite easy to clean them. Just take a drop of dishwashing liquid in water and wipe all the dirt out. Isn’t it very easy and cost-effective? Last but not the least, you can follow an expert’s advice before using your own precaution tips. In fact, if you are planning to purchase jewelry from Chicago, you will be assisted with all such jewelry tips. Embrace them and keep your jewelry healthy. No matter whatever process you may use, you should store your jewelry in a way as explained in the initial point. Further, if your jewelry has encountered several wears and tears and you don’t want to spend more for a brand new one, the affordable jewelry repair services in Chicago should be worth to be remembered. Diamond rings or diamond bands, no matter what it is. It is a de rigueur expense for every couple getting married. A myriad of wedding band collection is available both at online stores as well as offline jewelry hubs, especially in Chicago. But unfortunately, choosing the right wedding band for women in Chicago is not less than a challenge. Choice of every ‘she’ is different. And so, finding out the right one from the ocean of diamonds is just equal to making an impossible task possible. Do you know, what is your would-be’s taste? In case not, you should look for that first. Obviously, you don’t want to bark up the wrong tree. Isn’t it? Just like the endless desire for a woman for jewelry, the list of different wedding bands is endless as well. From styles to designs, elegant to classic, modern to intricate, the list is until the horizon. But never mind. Since you are reading our blog, we will certainly help you in finding the right one for her. While looking for the best wedding ring, its the nature of common buyer to check out their wallet at once. So, here we present the different affordable wedding bands for you or maybe for her. Let’s have a look. 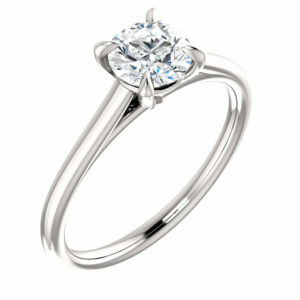 Shared Prong diamond bands, as the name suggest, rely on the exclusive prong diamond settings. 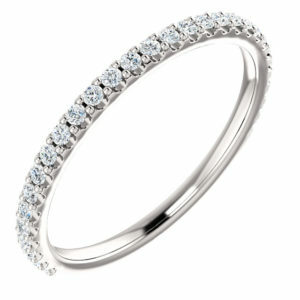 In these bands, diamonds are integrated into a row in such a manner that it allows maximum light reflection and sparkle. This is the brilliance of every shared prong diamond bands with ‘no’ metal border. You must have been the witness of pave diamond rings before. 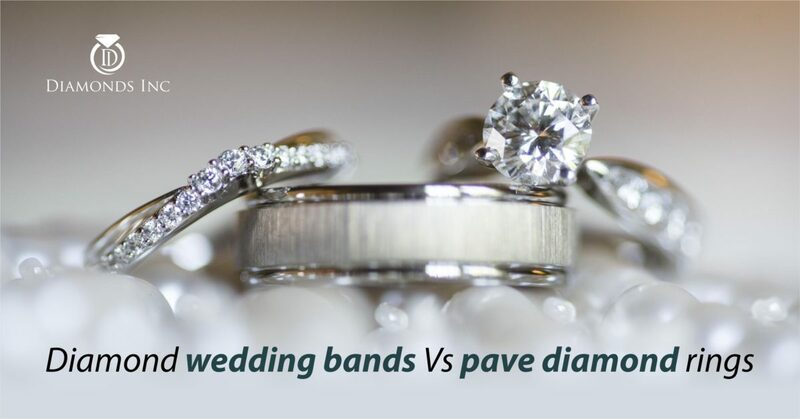 Scalloped pave diamond bands acquire almost the same features. The rounded cutouts on the sides of the band minimize the metal visibility and create an effect of pure shimmer. Therefore, it will not take much time or effort to figure out why many women gravitate towards these bands. Is your budget low, still you are thriving for diamonds? The uniqueness of French Pave diamond bands reveals through its settings. The phrase ‘French Pave’ has said what it has to say. It refers to a method of setting diamonds. Here the diamonds are set in such a way that it maximizes the amount of light reflecting from either side. In this setting, the metal forms a ‘fishtail’ or you may say a small U or V shape under each diamond. This exposes the sides of the diamonds and ultimately amplify their sparkle. Is it necessary that what others do, we do the same? Sometimes it is better to go ‘odd’. Maybe just to be unique, just to be exceptional or just to come in a limelight. 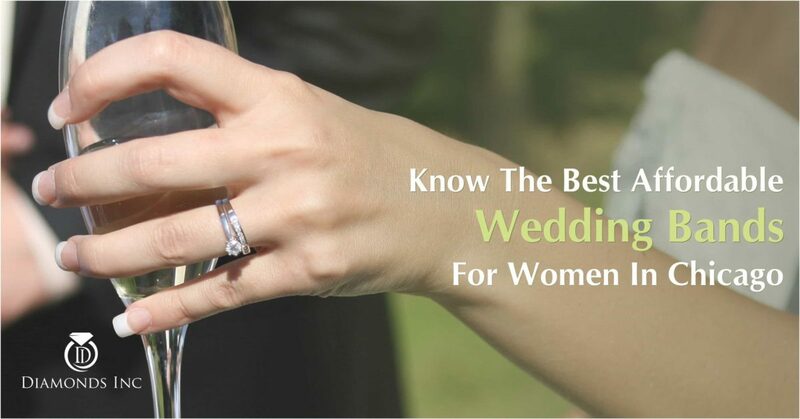 In case of a wedding ring for women, this can be obtained if you go for plain wedding bands. These bands have no embellishments, no doubt. But they are certainly timeless and classic. These bands can be further classified into platinum bands, 18K gold bands, 14K gold bands, and palladium bands. Excited? Browse online or just try one that is available at the store. Diamonds are forever – you must have heard this phrase several times. Isn’t it? But today you may feel this if you heading to purchase eternity bands. 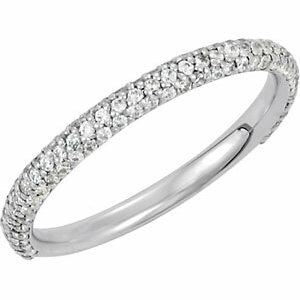 The exclusiveness of a diamond eternity band lies in its feature. The ring is wrapped completely with the dazzling gemstones, thus allowing the band to sparkle and shimmer from every angle. However, it is worthy to note that the better it looks, the more difficult it is to alter. If you are not concerned about that, then you may opt for this without any stress. While purchasing a wedding band for women, it doesn’t mean it has to be a ring studded with diamonds. 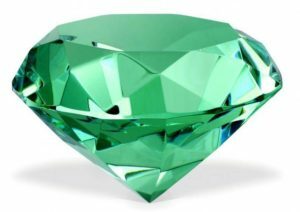 Will it lose its value if it is of Saphire? Obviously not. This option is for those who feel wedding rings or bands doesn’t imply it has to have a diamond included in it. It is also fruitful for those who don’t want to upset his wallet. 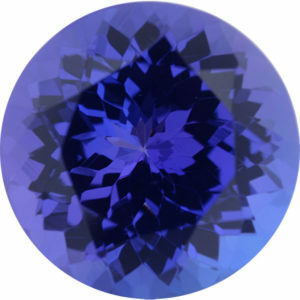 Yes, in comparison to diamonds, sapphires are available at a low expensive rate. Moreover, diamonds are usually obtained colorless, it is a different matter that today diamonds can also be available in different shades. But still, if you don’t want diamonds yet want to add a splash of color to your band, then sapphire accents can give you that touch. So if you are desiring for something different besides diamond, then this can be the most impressive choice. Options are many, but you have to convert one into your choice. However, wedding bands can also be further classified based on metals. Do you know that? 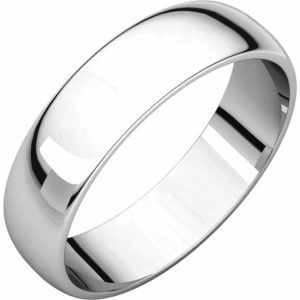 If not yet, check out our blog on wedding bands based on metals and purchase an affordable wedding band accordingly. Got married? Now, you have to wear your wedding ring till eternity – how many of you have come across this statement? Almost everyone. Isn’t it? But have you ever thought what is the reason behind this? Wearing wedding ring is however termed as a ritual, but is it only confined to this? Or is there something else that you are still not aware of. Hold on, guys. You don’t have to submerge yourself more into the ocean of thoughts. Perhaps you have asked this to your guardians or friends. But today, you will get to know the exact reason of wearing your wedding ring always. However, to know them in details you will have to travel thousands of years in the past. So, are you ready? Let’s begin the journey. If you turn the pages in history, you will find that the concept of wearing the wedding ring is not evolved today, rather it has been prevailing for years. Let us travel to ancient Egypt. Thousands of years ago in Egypt, there was a ritual of putting a ring on the finger of every bride. These rings were made of reeds and plants growing on the banks of river Nile, which were again twisted and braided into a circular structure. At that time, there was no diamond, no gold. These rituals were only breathing based on the people’s beliefs. They used to consider that the ring is the symbol of eternity and the love between the couple. They believe that wearing a wedding ring reflects that the groom had full confidence in the ability of the bride to take care of his house. In fact, this is said to be the initialization of wearing wedding rings on the ring finger of the left hand. In the middle ages, marriage was believed to be a financial arrangement. Keeping this in mind, the groom used to present the bride and her family an expensive wedding ring, in order to prove them that he was committed to the marriage and would never take his step back. The family used to protect this ring untill their wedding was not over. Thus the ring became the symbol of commitment towards each other. Till then, the ritual was moving at the speed of a tortoise, but it gained its momentum in the middle of the 9th Century. Have you heard of Pope Nicolas? Come on, you must have read about him in school. Don’t you? However, you will keep this in mind or not, that of course, depends on your degree of attraction towards the subject. Now coming to the point. Pope Nicolas I during his reign made a gold ring on the occasion of his wedding. He just wanted to showcase his status and wanted to prove his ability to take care of his wife. Wearing a wedding ring also proves to be the symbol of attachment. It may signify the fact that the woman is married, but it is also considered as a symbol to show her affection towards her love. It is been said that the vein of the fourth finger of the left hand is directly connected to the wearer’s heart. Do you know, what does that mean? It means, once you are wearing the ring on your ring finger, you both are connected by your hearts and no one can split you into halves until eternity. Now, the role of a diamond comes into the picture. In the year 1477, Archduke Maximillian of Austria presented a diamond engagement ring to Mary of Burgandy. During this period, people used to believe that diamonds hold magical powers, that can heal every wound. Moreover, it was considered the symbol of a stable and pure relationship. Keeping all these above-mentioned factors in mind, today, in the name of ritual, exchange of wedding rings takes place and is asked to wear it for eternity. However, in history, we have not come across the wedding bands for men. All we haved learned about the wedding rings for women. It has been found that the men’s wedding band gained its pace during the World War II. In this phase, the men who were separated from their brides wore wedding bands as the remembrance of their loved ones and their commitments towards them. Initially, the wedding bands they used to wear, were simple gold rings. But today it has been modified into diamond-studded rings. Hope you have noticed how the concept of wedding ring originated and how it gained its importance with time. Actually, if you look through it carefully, you will find that nothing has changed. The meaning, the significance all are same as it was in the history. The things which have changed is the ring composition, its designs, and patterns. Today, by the term wedding ring we mean a “diamond wedding ring”. No matter we can afford it or not, we never fail to have one for the wedding ceremony. Isn’t it? 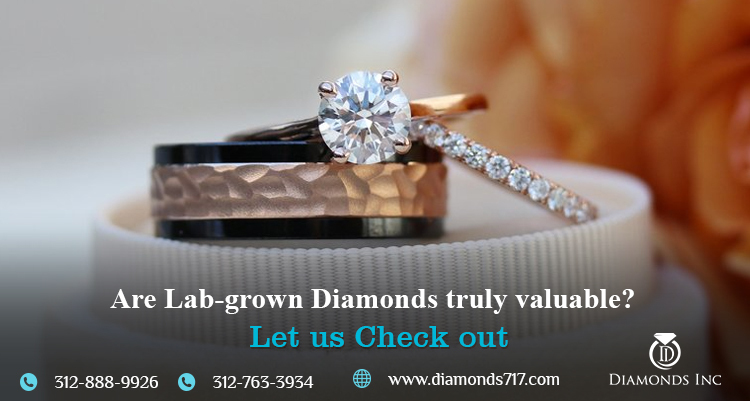 In fact, there are plenty of affordable lab-created diamond rings residing in the market that simply offer diamond rings within our budget. In short, a wedding ring simply defines the love, the commitment and the attachment between the spouses. It has nothing to do with diamond, gold or any other metals. Therefore, if you want you can simply choose any other alternatives. Because in the end, it is your love that matters, not the ring you gift to her. 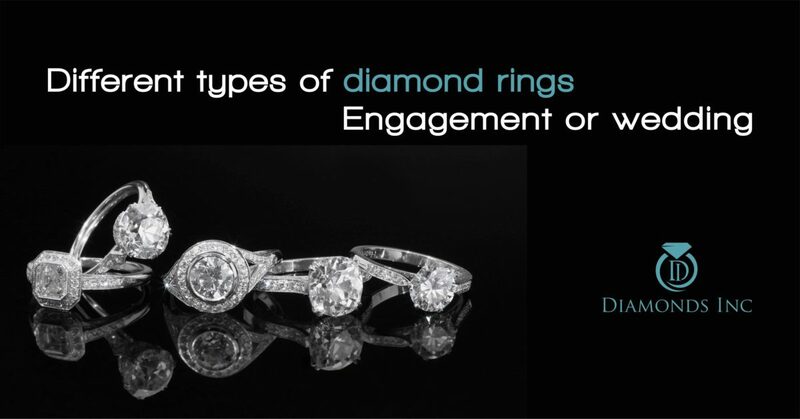 Do you know what are the alternatives that you can choose for your diamond wedding ring? Don’t worry. Go through our blog on 5 alternative options for your wedding ring and gain your knowledge. 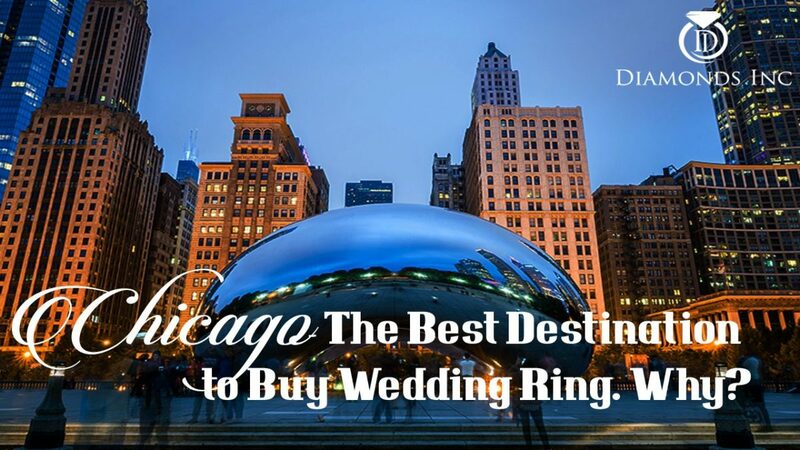 Chicago-The Best Destination to Buy Wedding Ring Why? So, are you looking for an exclusive collection of wedding rings? Why shouldn’t you explore the rings of Chicago? Chicago has an awesome breathtaking collection, which you hardly find it anywhere else. Chicago is ready to serve all your desire, whether it is wedding or engagement rings, wedding bands, pendants, earrings, or any other diamond products. But why we are emphasizing on Chicago, why not somewhere else. Obviously, it has some reason behind this. Excited to know it? Hold on tight. Because this is something beyond your imagination. 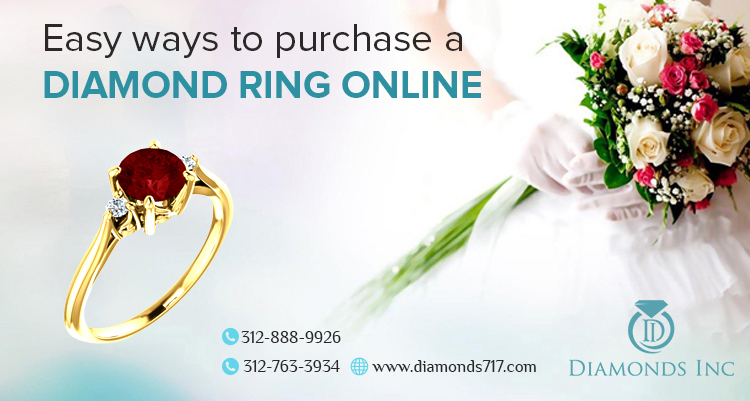 What you normally do while purchasing a diamond jewelry, is to move to a store directly, check out the collection available there and may be forced to purchase a product that doesn’t meet your desire. But Chicago’s Diamond district gives you options after options. The Mallers Building residing there is a bank of 190 jewelers representing 33 countries. Have you ever thought of uncountable options for a single demand? Yes, no matter whether it is your diamond wedding ring or engagement ring, you will be able to be the witness of breathtaking collections. Just imagine ‘collection’ itself is a collective noun, then how will you define ‘collections’? The diamond district or namely Historic Jewelers Row has an array of diamond jewelers ranging from small traders to popular diamond outlets. Diamonds at a wholesale rate, isn’t it amazing? 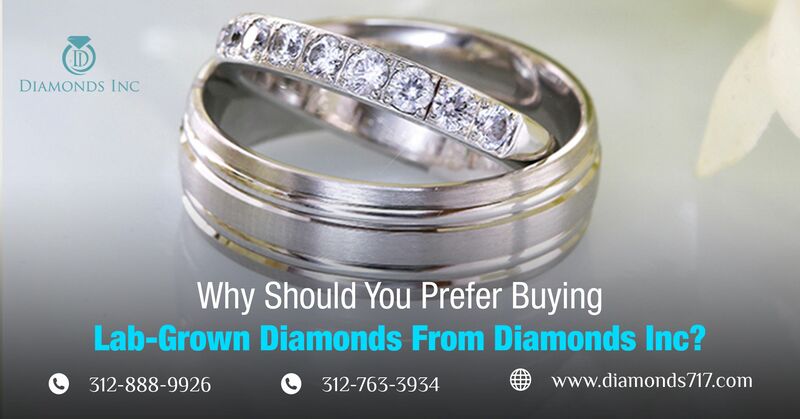 Yes, Chicago’s diamond stores offer diamond products at a pocket-friendly rate. What if you made a budget for your wedding ring and get a chance to buy a heart-shaped diamond pendant too? Will you not take this opportunity? Every diamond trader residing at this posh area sells diamonds at a wholesale rate. No matter whatever may be your desire, you will not have to lend money from your friends or relatives. 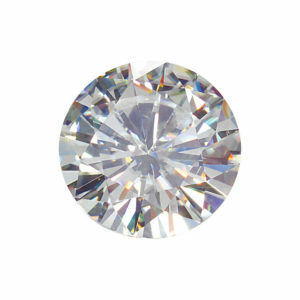 You must be in thought, how diamonds can be obtained at a pocket-friendly rate. All your confusions will be cleared at this point. Chicago, the third most populated city of United States is all about lab-created diamonds or new dawn diamonds. And that is the reason why every tourist traveling there makes out time from their busy schedule, to check out the dazzling diamond collection and buys one if desired. Now, since the name suggest lab-created, don’t confuse these with duplicate diamonds. These may not be formed within the earth’s crust, but are 100% identical to natural diamonds, both in physical as well as chemical compositions. 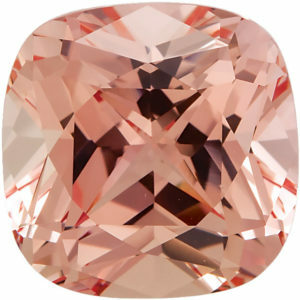 Moreover, natural mined diamonds are always colourless, but you can get blue, pink, green, yellow and different other shades in such diamonds. 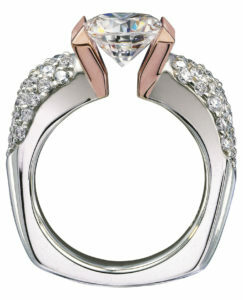 Want a pink heart-shaped diamond wedding ring for your love? Yes, this is available in every diamond store in Chicago. Want to customize a wedding ring, but you have only three days in hand? Normally, this is impossible. But the diamond stores in Chicago observes this term ‘impossible’ as ‘i m possible’. 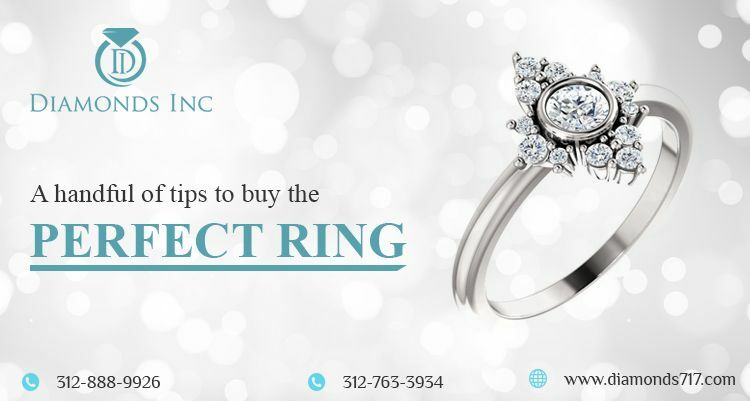 Yes, Chicago’s diamond outlets give you the flexibility to buy custom-made diamond within three days, no matter whether it is your wedding ring or wedding band or any other diamond studded jewelry. If you are failed to bring out the best from the collections or have decided to design your own ring, then Historic Jewelers Row and the Jewelers Center can prove to be the best for you. What do you need to do? Just pick up the type of diamond you want to use for your ring, and share your ideas and concepts to them. The professional craftsmen will bring down the exact what you desire. Free valet parking at the posh area of Chicago, isn’t it just an icing on the cake? What you won’t get anywhere you will get here in Chicago. Though there are a very few stores available that can give you this flexibility, still you can get this opportunity if you have a research from beforehand. Just imagine, you are willing to shop a diamond wedding ring in Chicago, and you don’t have to think of parking your car. Such a hassle-free shopping can only be enjoyed in the diamond district of Chicago. Everyone wants to get the best out of the collection, including you. Isn’t it? Personal assistance residing at every diamond store in Chicago is there to assist every customer to get the best from the collection or design the best for them. 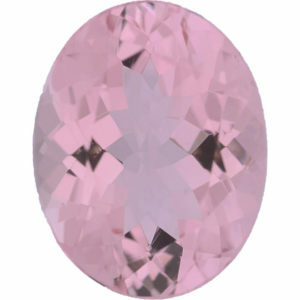 Normally, when you are shopping a diamond product, you may be bound to buy the one that doesn’t meet your requirement. But in Chicago, if you are looking for a wedding ring, then you can’t help yourself designating as a happy customer. The personal assistance there serve you personally and helps you to get the best for your love. In most of the cases, you may be bound to think whether your diamond is the real one or not. But you don’t have to think of it when you are purchasing diamonds from Chicago. This is because of the certified diamonds. Yes, we have already discussed with you about the lab-created diamonds in our previous points. These diamonds are certified from GIA labs and the jeweler is bound to give you the certificate along with your product. This certificate is the symbol that your diamond is original and possesses all such characteristics of a natural diamond. Will you go for any other diamonds leaving the certified diamonds behind? Hope now you have concluded that Chicago means diamonds and diamonds mean it has to be from Chicago. But before planning to check out the collection, you must go through the different types of engagement or wedding rings feasible in the market. This will help you to make your desire and look for it accordingly. Have you seen anyone saying ‘no’ to diamonds? Everybody loves to wear a diamond. Whether it is a diamond wedding band or a ring, you will never find anyone who says he or she doesn’t like to have a diamond. And if that diamond is gifted by someone special, then it will definitely hold a different value to them. 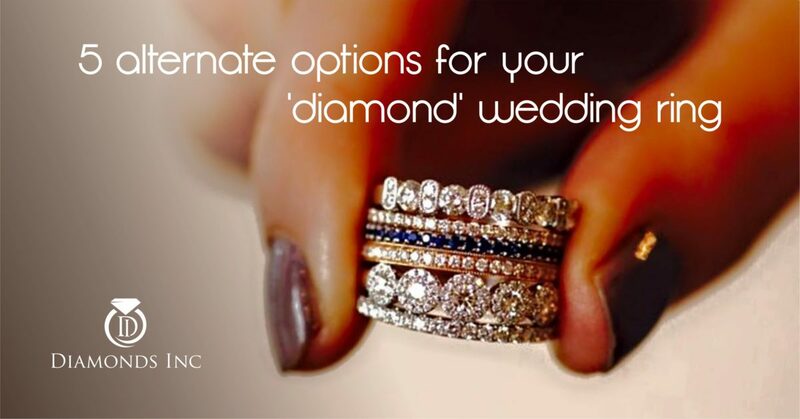 Imagine if someone asks you what you will like to choose diamond wedding bands or pave diamond rings. What should be your answer? You will of course get a bit confused. Right? Because both are diamonds and both are near to your heart. You will surely don’t have words to discriminate them. But yes, today we will give a solution to this problem. While going through this blog, you will come across few points that will help you to clear out the confusion between diamond wedding bands and pave diamond rings. A diamond wedding band is nothing but a metal band studded with pieces of diamonds. If you turn down the pages of history you will observe that men in the history used to wear a metal band on their finger. The circular band was made of a metal, completely devoid of diamonds. As time passed away, the metal band started gaining its popularity among the women too. The design was copied from the history and diamonds are added to the metal to give it a new elegant look. Today, while purchasing a diamond band two things you have to decide initially. The metal type and the diamond setting. Based on metal types diamond wedding band can be divided into several types. 1. 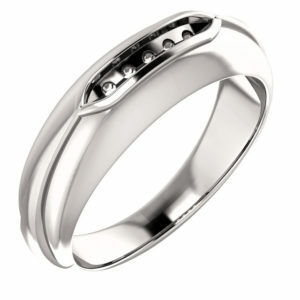 White metal: Platinum and white gold metal are used to form these bands. 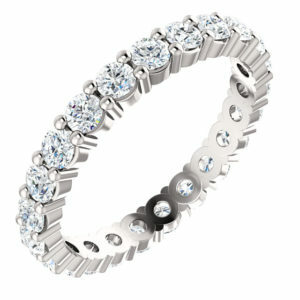 The white gesture along with the studded diamonds make the band brighter, more beautiful and captivating. 2. Rose Gold: This option can be obtained if 24 carat gold is used to create such bands. These bands are assumed to be more luxurious and act as a complement to every skin tones. If you want a blend of both gold and diamond, then this can be your most desirable option. 3. 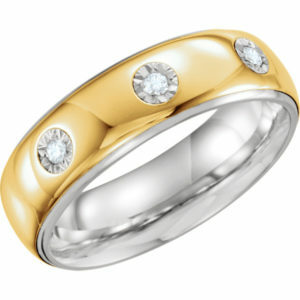 Recycle Gold: Metals which are formed by continuous recycling are sometimes used to form wedding bands. If you are an eco-friendly person and wants to avoid gold mining then you can buy the band of this renewable resource. Based on the style of setting the diamonds, you can divide the wedding bands into following categories. 1. Shared Prong Setting: Here diamonds are line up throughout the band using prongs. Shared prong refers to the alignment used in the setting. One prong for two diamonds, thus in a ‘sharing’ gesture. 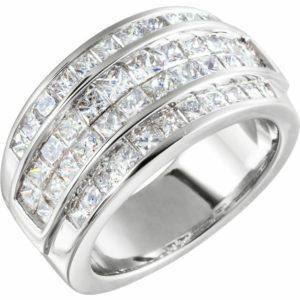 In this case, diamonds are clearly visible and thus gives the band a beautiful texture. 2. Pave diamond setting: In this case, the diamonds are aligned between two thin bars of the metal used. Compared to shared prong setting, it is safer in keeping the diamonds in place. 3. Channel setting: Similar to the pave setting, diamonds are placed within the girdle. Tiny grooves are made to keep the diamonds safe. This setting is one of the finest settings that buyers usually recommend. Before getting into the depth of a pave diamond ring, you should make this clear that a diamond band and a diamond ring are two different items. Sometimes it really becomes difficult to take the right decision between the two. To solve your confusion we have already mentioned in our other blog, which one to prefer the most: a wedding ring or a wedding band. If you look at the diamond band attentively, you will find that a diamond ring is nothing but the diamond band with a diamond at the center. As you know, if we start categorizing a diamond ring, then there will appear several types of diamond ring. Among such types, a pave diamond ring is the one. We will recommend, if you are looking for a ring that dazzles and shimmers from every angle, then grab a pave diamond ring blindly. Among the different diamond settings, pave diamond ring is grown to showcase the maximum fire and brilliance of a diamond. You may say, the diamonds placed in this setting are given a platform to showcase their amusing characteristics of exhibiting brightness. The beads of diamonds are clustered together in such a way that a negligible amount of metal is visible. 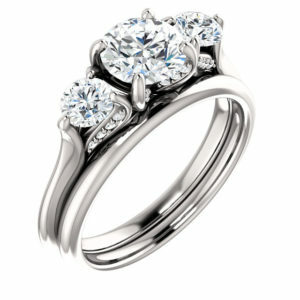 Pave diamond ring are further classified into Pave Halos, French Pave, and Micro Pave. Turn the pages of our blog on pave diamond rings overview and gain more knowledge. Hope now you will don’t have any confusion while purchasing a diamond wedding jewelry for your love. Just make sure that the diamonds used are real and not fake. With the term ‘real’ we mean to refer to lab-created diamonds. Why people prefer lab-created diamonds? Know more. As you know, the price of real mined diamonds is out of reach. So you have to depend on lab-grown ones, which are the reflection of natural diamonds. 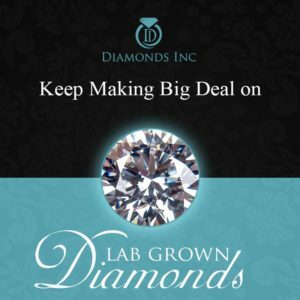 Browse online and get in touch with the diamond stores that sell lab-grown new dawn diamonds at a reasonable rate. There you will get a variety of such diamond rings or bands.